Happyway Civil Co-Operative Ltd is a 100% Black-owned community based cooperative. It was founded in 2014 by Ms Linah Tshidi Matjeng, Ms Anna Khumalo, Ms Letty Tshabangu, Ms Sizekile Sarah Mnyakeni and Ms Kgadi Elizabeth Sibiya. 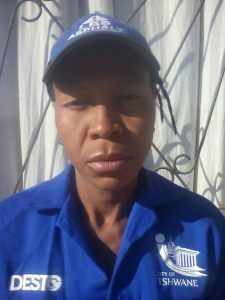 The business is committed to contributing to the development of areas around its place of operations through social upliftment and environmental awareness programmes which it runs from time to time. 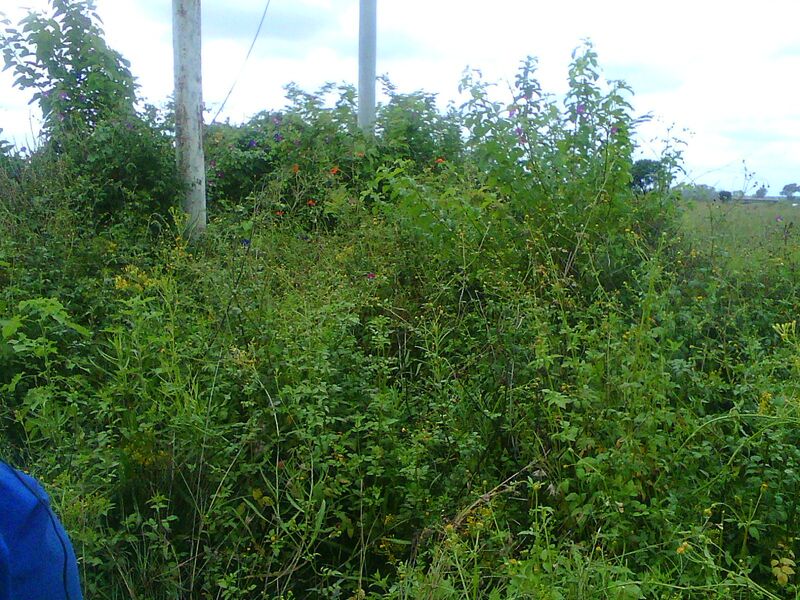 Happyway Civil Co-Operative Ltd is an environmental management and garden services company established to address the challenges of invasive alien plant species. 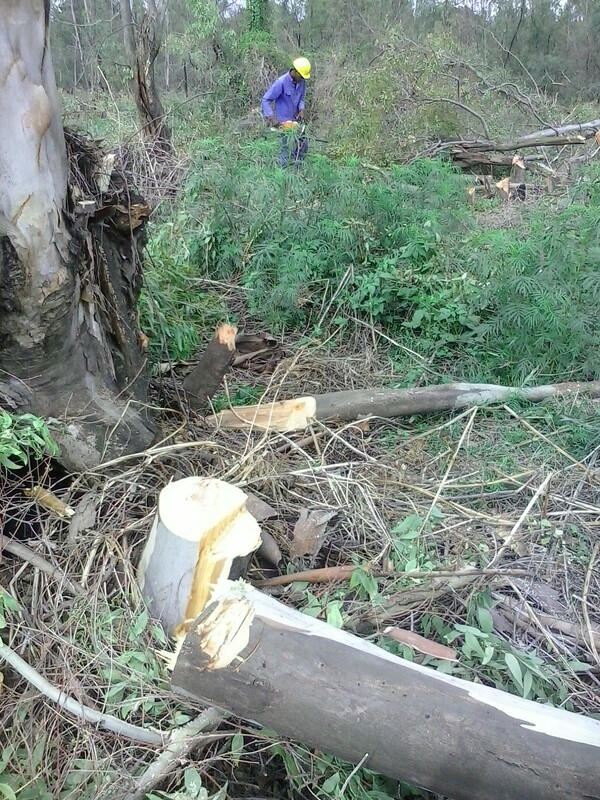 Our area of focus is providing environmental management control and maintenance services with the key focus on invasive plant removal/destruction. The cooperative is managed by a team of energetic and well disciplined men and women who have sufficient knowledge in this field. The company currently employs 12 full time and 8 temporary employees during projects. We have a team of young, dynamic and dedicated people who are the integral part of the company success. Our staff is comprised of 60% women, 40% youth and we always strive for 2% disabled persons. We recruit our staff from indigent families. 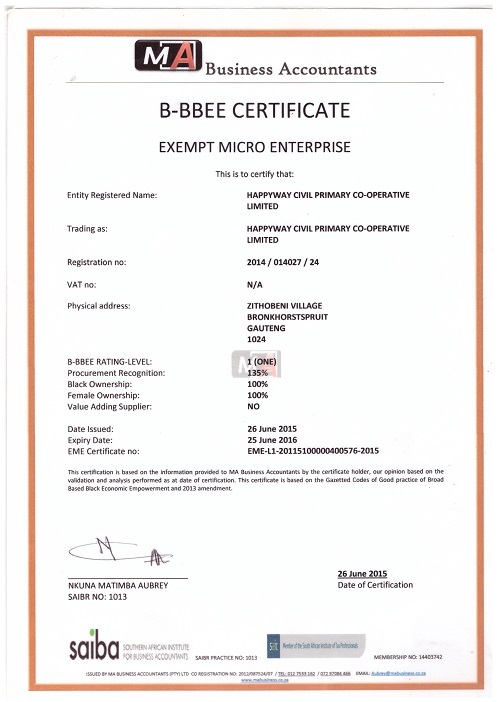 The cooperative is the beneficiary in the Gauteng Enterprise Propeller’s SMME’s programme. We received the most essential equipment and material through the cooperative support and Business Development Support Programmes. We are already utilizing them to our advantage by undertaking multiple projects and employing more people. We also acquired critical business management skills in Basic Sales and Marketing and bookkeeping and Accounting. The skills are going to help us to deliver an excellent service to our clients and further grow our company. We are proud to be supported by GEP.